Lanes camera technology is being used to inspect sea defences at Lowestoft Ness the most easterly point in the United Kingdom to monitor their condition. A team from the Lanes depot at St Neots has been helping Waveney District Council, to monitor the foundations of the sea wall at Ness Point, Lowestoft, in Suffolk. The stretch of coast faces some of the highest erosion threats in the UK. Lanes has been commissioned to do the work by Mackley Construction, who are working with Waveney District Council on a long-term plan to maintain sea defences. The team used a camera on the end of a flexible rod and a mainline robotic camera to gather images from inspection chambers along a half mile stretch of sea wall decking. The images will be analysed to see if the constant action of the waves has undermined any significant amounts of material beneath the sea wall. Lanes project manager Richard Savage said: “Ness Point is the most easterly point of the UK. If a storm comes in from the North Sea, this stretch of coast is potentially exposed. “Over the years, significant sea defences have been built seaward of the seawall to protect vulnerable Lowestoft areas, but the action of the sea, especially during winter could potentially undermine them, which is why these inspections are required. “The inspection chambers are no more than a metre deep, but because of where they are placed and their size it’s not easy see into the bottom of them. “That’s why our camera systems, which are designed to inspect sewers of varying shapes and sizes for drain blockages and other problems, and provide high quality images for detailed analysis, proved so effective. 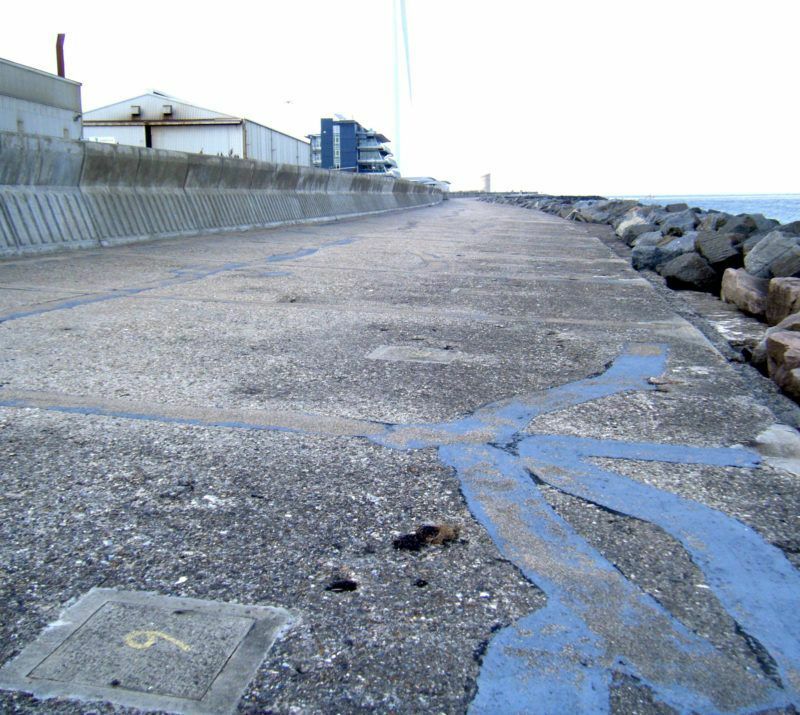 Mackley Project Manager Andy Munro said: “The Lanes camera technology worked very well, and helped give us, and the council, the evidence we need to monitor the structural integrity of the sea wall.